10 best Canadian mutual funds for 2014 & 2015 are RBC Premium Money Market Fund, RBC Balanced Fund, BMO Dividend Fund, etc. Investing in best mutual funds is essential for long term capital growth and income. Some website may provide screen based on its past performance, some may provide list only and without any research, some may provide details about the top funds. The list includes variety of funds’ classes such as balanced fund, money market fund, bond fund, dividend fund, etc. Whether it is for your RRSP (retirement account) or regular brokerage account, you need to do research. You need to find out the fund management style, performance, fee, yield, future potential. Also assets allocation is important for mitigating risk and maximize return or reward. Walter Poseiwko is currently managed this top Canadian mutual fund. This RBC Premium Money Market fund has total net assets of $2,617 million. The management expense ratio (MER) is 0.35%. The fund was incepted in March 1997. It distributes 0.87% dividend on monthly basis. This Canadian fund has returned 2.86% since the inception date. The 1-year return is 0.88% and 2.14% for 10-year return. The best performance since 1997 was in March 2001 with 5.51% and the worst in July 2010 with 0.23%. The benchmarks are 50% DEX 30 Day T-Bill Index and 50% DEX 60 Day T-Bill Index. The other classes of this fund are Class F (RBF650) and Class I (RBF229). All three classes are no load funds. It requires minimum investment of $100,000 with $100 subsequent investment. The fund has 103 holdings as of March 2013. The top ten holdings are Sound Trust (4.6%), Fusion Trust (4.2%), Bank of Montreal (3.1%), Merit Trust (2.8%), Clarity Trust (2.8%), Reliant Trust (2.5%), National Bank of Canada (2.5%), Zeus Receivables Trust (2.4%) and Safe Trust (2.2%). Total percentage of these top holdings is 29.0%. 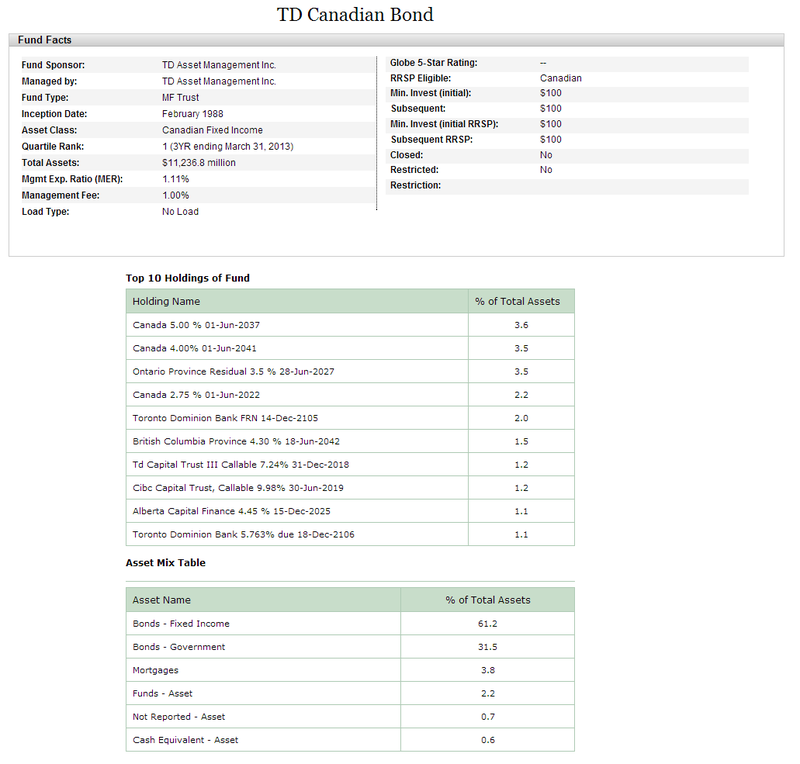 The next top Canadian mutual fund for 2014 & 2015 is this TD Canadian Bond Fund. As part of TD fund family, the total net assets are quite large ($11,237 million). The fund was first introduced to market in 1988. It also has 1.11% of management expense ratio. This is also a no load fund. The management team of this fund is Satish Rai, Geoff Wilson, David McCulla and Christopher Case. Last year in 2012, the fund returned 3.48%. It has returned 7.59% since the inception. The 5-year average return is 5.64%. DEX Universe Bond Index is the fund’s benchmark. The Premium Class of this fund (TDB2002) was introduced later in 2010 and it has 0.99% management expense ratio (MER). The top holdings as of March 2013 are Government of Canada 5.00% (3.6%), Government of Canada 4.00% (3.5%), Ontario Province Residual (3.5%), Government of Canada 2.75% (2.2%) and Toronto Dominion Bank (2.0%). 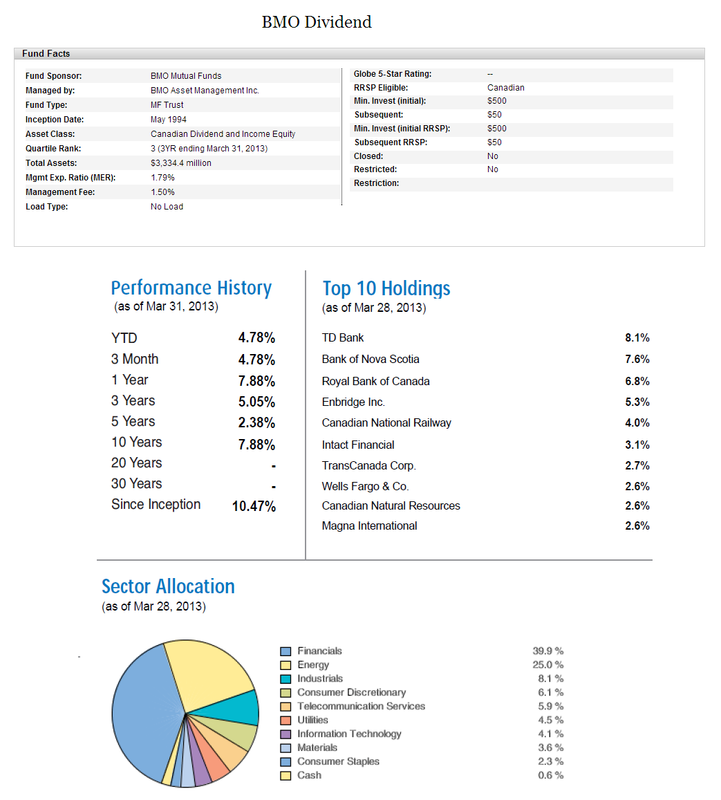 This fund is categorized in the Canadian Neutral Balanced asset class. The RBC Balanced Fund has $6.757 million of total net assets. The income distribution is distributed quarterly in March, June, September and December. It has management expense ratio of 2.36%. The minimum investment is $500 for initial investment and $25 for additional investment. The best performance since inception was in 1994 with 26.37%. The fund has 20-year average return of 5.85% and 10-year average return of 5.91%. The 3-year beta is 1.09. Last year in 2012, the fund had returned 5.85%. The top holdings out of 812 total holdings are Royal Bank of Canada (2.2%), Bank of Nova Scotia (1.9%), Toronto-Dominion Bank (1.8%) and Ontartio Prov Cda 4.3% (1.5%). The top sectors are Financials (28.0%), Energy (18.7%) and Materials (11.7%). 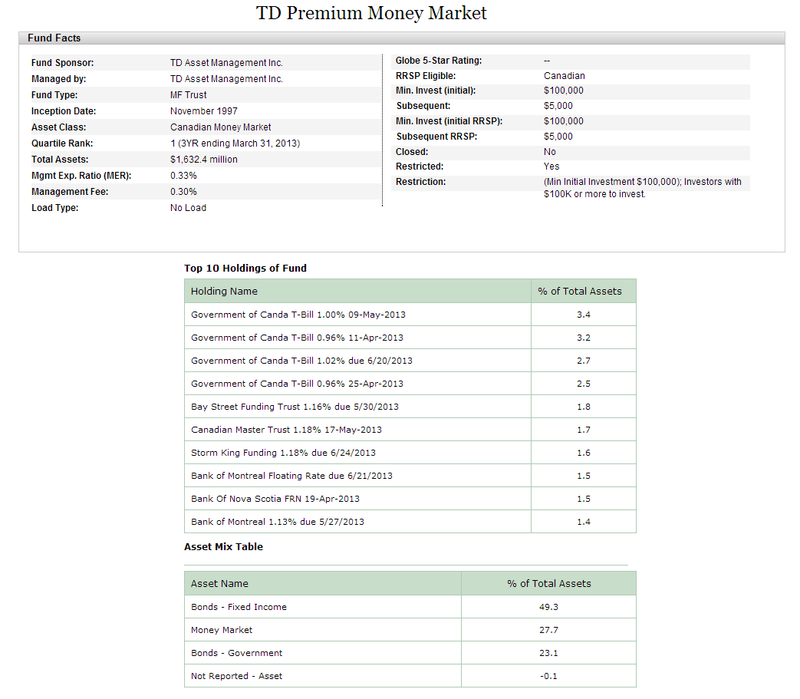 This TD Premium Money Market fund offers premium rates and low MER of 0.33%. 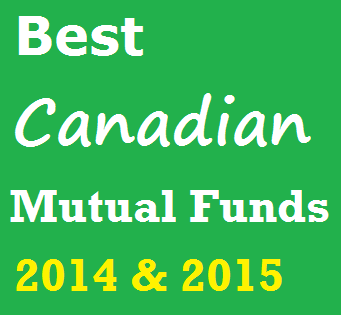 This best Canadian mutual fund for 2014 & 2015 has $1.632 million of total net assets. It also charges 0.30% management fee but there is no load fee. It is currently under the management of Elaine Lindhorst. The fund allocates net income and net realized capital gains to unitholders on a daily basis and distributes these amounts monthly. The current yield is 0.82%. As of March 2013, the top asset mix is 49.3% in Bonds-Fixed Income, 27.7% in Money Market and 23.1% in Bonds-Government. The top holdings are Government of Canada, Bay Street Funding Trust, Canadian Master Trust, Storm King Funding, Bank of Montreal and Bank of Nova Scotia. This RBC Canadian Dividend fund was previously known as RBC Dividend Fund. The fund name changed to RBC Canadian Dividend Fund effective July 4, 2006. The current fund managers are Doug Raymond and Stuart Kedwell. The total net assets are $9.980 million. It also has 1.78% management expense ratio (MER). The minimum initial investment is $500 with $25 subsequent investment. S&P/TSX Composite is the fund’s benchmark. It distributes the income quarterly and capital gains annually. The fund has its best return in 1997 with 51.33% and the worst in 2009 with -31.86%. The fund has returned 10.92% since the inception in 1993. The 1-year average return is 9.59% and 5-year average return is 4.17%. The fund is available in many other classes, such as Class F (RBF607), Class I (RBF150), Class Adv with Front End Load or Low Load, Class T8 (RBF598) and Class T5 (RBF538). The top ten holdings represent 42% of the total assets out of 93 holdings. They are Royal Bank of Canada (6.9%), Bank of Nova Scotia (6.8%), Toronto-Dominion Bank (6.4%), CIBC (3.9%) and Bank of Montreal (3.6%). The top sectors are Financials (47.8%) and Energy (23.3%). Stephen Jenkins and Gerald Coleman are the current fund managers. 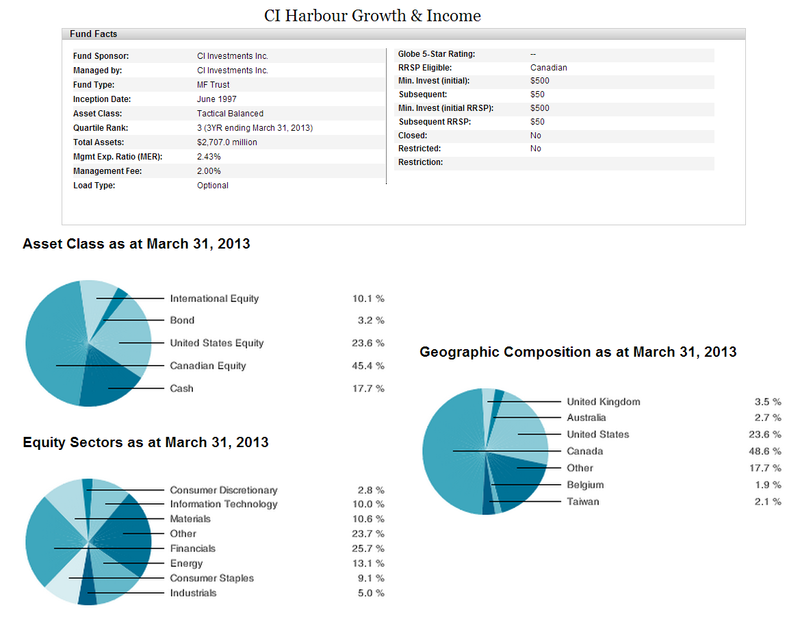 This CI Harbour Growth & Income fund has been in the market since June 1997. It is in the Tactical Balanced assets class. The fund has total net assets of $2.707 million. It also has 2.43% management expense ratio (MER). The fund is available in Class A and Corporate Class. This best Canadian mutual fund has 3-year beta of 1.33 and 3-year risk of 9.13. The fund’s 5-year average return is 1.19% and the 10-year return is 6.01%. In 2012, the fund recorded a return of 5.29%. The top asset class as of March 2013 is Canadian Equity (45.4%) and United States Equity (23.6%). The top equity sector is Financial (25.7%). Canada (48.6%) and United States (23.6%) are the top countries based on the geographic composition. This top Canadian mutual fund is under the management of Colum McKinley and Craig Jerusalim. This CIBC Monthly Income fund offers a reasonably consistent level of monthly distribuions. The most recent distribution was $0.06 in March 2013. It also has 1.48% of MER (management expense ratio). Like most of the above-mentioned fund, this fund is also a no load fund. The performance of this fund for the last three years is 5.46% in 2012, -1.72% in 2011 and 10.56% in 2010. The fund also has recorded an average of 6.94% for 10-year and 2.80% for 5-year. The top holdings as of February 2013 are The Toronto-Dominion Bank, Canadian Housing Trust No.1, Royal Bank of Canada, Cash & Cash Equivalents and Canadian Imperial Bank of Commerce. 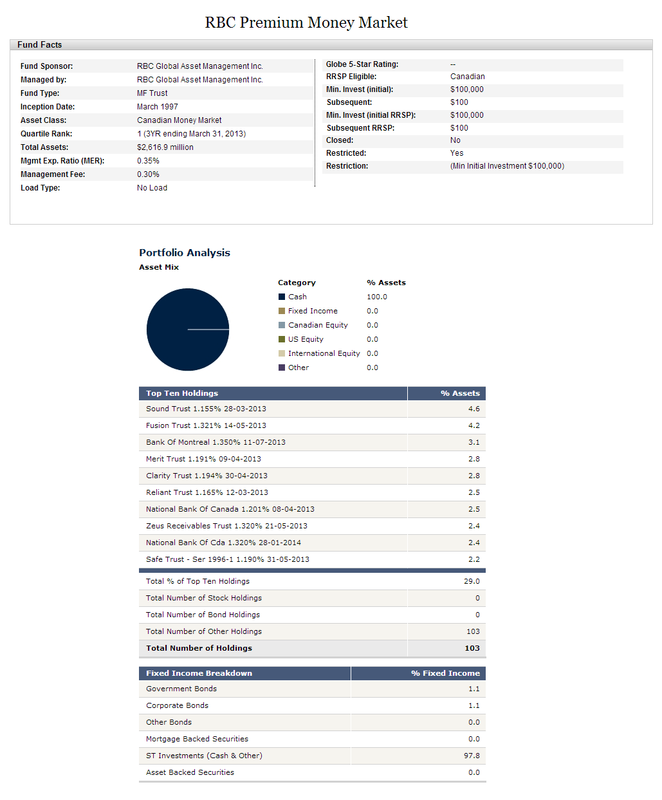 This BMO Dividend fund has total net assets of $3.344 million as of March 2013. It is currently managed by Lutz Zeitler and Phillip Harrington. The fund distributes income to the investors on quarterly basis. The recent distribution in March 2013 was $0.01. It also has 1.79% management expense ratio. There is a management fee of 1.50%. The fund has its best return in 1998 with 47.92% and its worst return in 2009 with -30.70%. The fund has returned 10.47% since the inception in 1994. It has 5-year average return of 2.38%. The minimum initial investment needed is $500 and $50 for the next investment. The top holdings as of March 2013 are TD Bank (8.1%), Bank of Nova Scotia (7.6%), Royal Bank of Canada (6.8%), Enbridge Inc (5.3%) and Canadian National Railway (4.0%). The top sector allocation is Financials (39.9%) and Energy (26.0%). Managed by William Lazarakis and Lidio Mancuso, this King & Victoria RSP fund has been introduced to public in 2004. The total assets are very small ($ 6 million). It distributes the income distribution and capital gains annually to its investors. In December 2012, it distributed $1.3 capital gain. The fund has returned 16.67% since 2004. It has returned 36.33% over the past 1-year and 28.68% over the past 5-year. 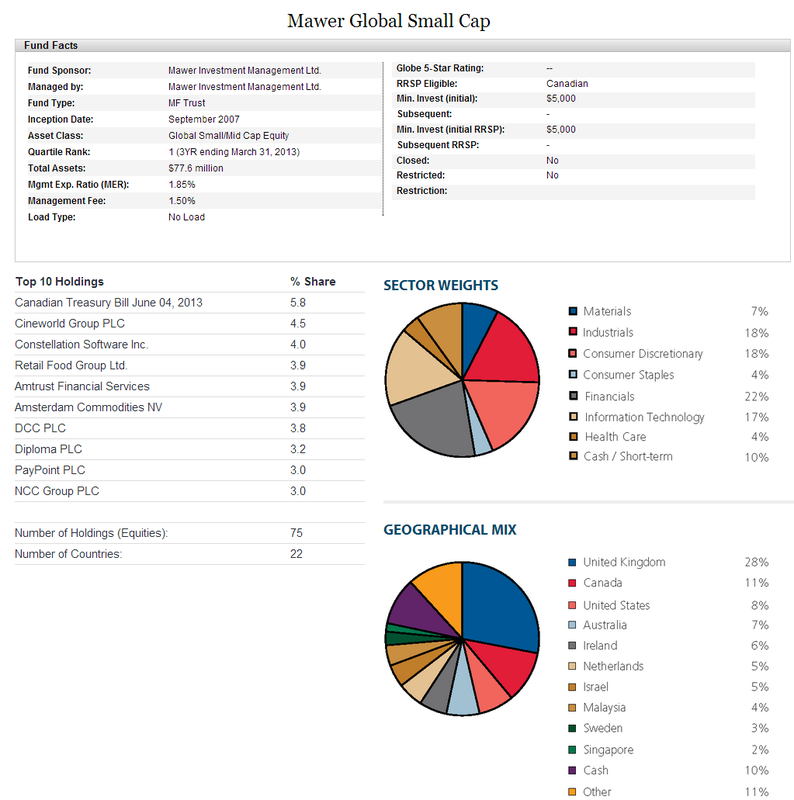 This Mawer Global Small Cap Fund has total net assets of $77.6 million. The management expense ratio is 1.85%. There is a management fee of 1.50% with the minimum initial investment of $5,000. The fund is managed by Paul Moroz. It has returned 29.51% in year 2012 and 16.26% in year 2010. The fund has 5-year average return of 9.92%. The top holdings as of March 2013 are Canadian Treasury Bill June 04, 2013 (5.8%), Cineworld Group PLC (4.5%), Constellation Software Inc (4.0%), Retail Food Group Ltd (3.9%) and Amtrust Financial Services (3.9%). What are the risks of investing in these top funds? Investing in the fund may result in the following risks are the unit price of the fund may rise or fall; interest rate risk; credit risk to the extent the fund invests in corporate money market securities; securities lending, repurchase and reverse repurchase transaction risks; multiple series risk; and derivative risk.